So, continuing on with the idea of simplifying that I mentioned in yesterday’s post. . . . When I started this blog a little over two years ago, I had hoped that it would also help my new interior design business get going, as well. At best, I had hoped I would have one or two paying clients by the time my kids all got in school. Little did I know how fast your business can grow once you put it out there online. I was first approached about online decorating a couple of months after starting my blog, and began to pick up a steady stream of local clients thereafter. I will be the first to admit, it’s both thrilling and flattering when people actually want to pay you for your ideas. It’s also very hard to say no when an opportunity comes knocking. Maybe it was all misperception on my part, but I saw other blogger/designers who seemed to be juggling all the demands of running a business, along with raising their kids and running a home, and didn’t see any reason that I couldn’t do the same. Well, I’ve come to a realization. I can’t. Not only can’t I do it all, I just don’t want to. For the last year–as I’ve been running around like a crazy woman taking on way too much work–I’ve been waking up at night and hearing the word “simplify.” It’s been really clear, and I believe that’s God talking. So, I began toying with the idea of giving up my design work to focus on blogging, not knowing when or how to make it happen. When we got the big news of twins in October, that was all the affirmation that I needed. There are parts of working for clients that I really like and there’s a lot of satisfaction in completing a project. But, there’s also the less glamorous side–the long hours, the running around without stop, the feeling of being overwhelmed. For me, at this point in my life, it didn’t add up—especially when I felt like my focus needed to be on my kids while they’re little. I’ve decided to step away from my design business to become a full-time blogger. That’s really where my heart is right now and what I enjoy most. Will I ever go back to design? I think that’s very possible after my kids are in school, but that’s obviously years down the road at this point. I’m still open to the idea of taking online design projects, but am enjoying a little break for now. Thanks to those of you who faithfully read. I appreciate you sticking with me, and am looking forward to what’s ahead. So, I've Started . . .
And, I'm In Business . . .
Emily, I think it is fabulous you are listening to yourself and the Almighty and making the best decision for you and your family. Life can be overwhelming sometimes and knowing when to slow down and smell the roses is hard to do. Looks like you are on your way to doing just that. Congratulations and I am certainly looking forward to continuing to follow your awesome blog! Good for you for having the courage to step back from a growing business. You will never regret the time with your children – as you know it goes by oh so fast. Look forward to seeing the changes in your blog. Congrats on your decision, Emily! I’m sure it wasn’t an easy one to make. I look forward to following your blog in 2012! Congratulations on the decision! I totally agree that “doing it all” is impossible and not at all appealing! I’m glad you’re keeping the blog and look forward to exciting new things! Good for you! I love your blog, your style, and most of all-you ate having twins!! Coming from a twin mommy myself, you will be spending lots of time juggling twins soon, so you will not have as much “free time.” good luck and I look forward to watching you (hee hee) and your blog grow! congrats on your decision. Putting yourself & your family first is always a win win. Yay for you, your kiddos, and your blog readers! :) Your blog is one of my favorites so I look forward to your posts this year. A wise decision. Years ago I learned that to “do it all” was possible, BUT it wouldn’t be done well. Something always suffered in the end. I’m glad you will be keeping the blog as I do enjoy it so much. Thank you. It’s such a fine line, isn’t it? The need for an outlet, for something to call your own and the need to be present for your family. I am always struggling with finding this balance. Congratulations on taking the extra weight off your shoulders and listening to that knowing voice. Best of luck and feel well. I’ll be reading faithfully. That’s definitely a leap of faith and I know that God will reward you for it, weather that be in blogging or family time or some other unforeseen way. Congrats! yay! i am SO excited for you!!!! we moved this past october and when we moved i was still trying to run my business, be a mommy and i realized in all of it that for the last 2 years i WAS running around like crazy to do it all and i was missing a little bit of my family in that… and losing myself a little, too. so i stepped back. i am still working on my business, but at a MUCH slower pace. it stinks that the income is less, of course, but my happiness and my family’s happiness is worth it to me. i know you will be happy. Sounds like you’re on the right track to me – especially as you prepare to add TWO more to your family! Looking forward to your future posts! Blessings! Yay! Another full time blogger! WTG for making such a decision…we can do it all, just not all at once. :) Loving on those kiddies is way more important! Good for you. I bet that was a hard and easy decision at the same time. I’m so glad you are keeping the blog. Thank you for the good reminder that it’s okay to say no. I’m terrible at saying no! Best of luck with this new chapter in your life. Well done! You’ve got to trust your instincts! I’m so excited for you! You will be so blessed for listening to His still small voice! Someone once told me – in relation to focusing on my young family and giving my “career” a break – childhood is temporary. That has really stuck with me as I’ve made many sacrifices in order to really be there for my kids. It’s worth it! I can’t wait to see where your blog is headed! Woohoo- 2012 is going to be such a great year! Good for you, Em! I’ll second what another poster said and say that I’m glad I still get to read your blog, too! I miss seeing you and love your ideas on decorating. I’m terrible at it and you’ve inspired me to do a few projects that I wouldn’t have thought to undertake. Enjoy your time with the kiddos and get some rest, girlie, you’re gonna need it! I love, LOVE, that you are putting your family first!! The years just go so quickly when your kids are young, and you can’t get them back. As women we have so many options today, it’s hard to choose the best path, and I for one applaud you for stepping away from a booming business to focus on your family and still work at something that will bring you satisfaction. I adore you blog and look forward to the projects you do in your own home! Congratulations Emily! I know this was a hard decision to make. We are super thrilled to see more of you on the blog though! Good for you to do what is best for you and your family! I am so excited for you! I love your blog and your style. I can’t wait to follow you on your journey with new babies and your home decorating projects. Thanks for being so honest and sharing a little peek into your world. I recently have been offered a few jobs. I was a dental assistant. Now a stay at home mommy. I have a friend that works at a furniture store and they need a designer. I love interior design, but I turned down the job. I also have been offered a few other random jobs like being a nanny. After thinking long and hard, I turned the job offers down. I am so blessed to be able to stay at home and kids grow up so fast, so I am trying to enjoy every second now. Plus my daughter just started pre k. Its only 3 days a week for 2 1/2 hrs, but now I get me time. Time to run errands, grocery shops, even doing a little shopping at places like hobby lobby some days alone. Congrats fo you and your family! Your children are precious! I hope this decision brings joy to all of you! Can’t wait to see what the blog brings. Kuddos to you for listening to God’s lead! Congratulations on making this decision. I’ve been excited to see the progress you’re making in your new home and how you go about making decisions. Sounds like you’ve given this a lot of thought and you’re making the right decision for you and your family. Best wishes and I look forward to the new blog! I also say that it is wonderful that you are listening to the leading of the Holy Spirit! I can’t imagine having a business and having 5 children. I have 4 myself and between them, and the stuff I do at church, it’s all I can do to ever clean my house much less do much else. I look forward to hearing more about your journey to twins. My sister just found out she is having twins, too. But they will be her first two (not fourth and fifth). I really enjoy reading your blog and getting inspiration for myself. Very happy for you Emily and so excited about your decision which I’m sure wasn’t easy at all. Well your blog certainly looks fantastic! That earns way more points in my book! Congratulations on the promotion! Congrats to you for taking the steps you need for sanity! clients and blog readers will always be here! I read that first part with apprehension, afraid it was the blog you would be stepping away from. Do glad to hear it isn’t! Well congratulations girl!!!! Doesn’t it feel so good?! I’m still on cloud nine about you expecting twins! Thats such a blessing, E! yay – congratulations on this! I can’t believe it has been two years! I am still love your blog!Keep up the great work! I know what you mean! I’m in my second week back at work after having Amelia, and blogging is really difficult to do right now. I wish I could give up work and just do blogging, but my blogging doesn’t pay the bills. :) I’m so glad you’re going to focus on blogging, though, because I love yours so much! You know, I read a lot of blogs….ones I just “happened” upon, and I must say that you are one of my favorites. You seem like you have your priorities in the right place and you come across very “real” to you readers. I enjoy hearing what you have to say. Good luck with this amazing new adventure…twins (wow, I don’t think I could have done it if my fourth and last child would have been twins). You have all my support! Good for you! These are tough decision for sure, seems like you made the right one for right where you are in life! I admire you for following your heart. Just because you stop something now doesn’t mean you can’t pick it up later if you so desire. It must have been a difficult decision for you, and I admire you for having made it. I made a similar decision 10 years ago. I have still been able to pursue my dream (only at a verrrrry slow pace) so I could watch my kids grow up. Good luck with your blog! Way to be true to you, your family and what God has placed on your heart! You can’t go wrong listening to your gut! I am sure your blog will remain on my “favorites” list as well as many others! Enjoy your time with your kids!! I’m a big fan of your design esthetic and I look forward to seeing what you do to your own home while you nest. No kids for us yet, but there’s no doubt it will mean the world to all of you to be a mommey first. Your kids are adorbs by the way! Congratulations to you, Emily, and your precious, precious family. I am thrilled for the direction God is taking you and your family, and I cannot wait to meet those adorable little ones. You know you’ll always have a fan in me! Can’t wait to see how your blog grows and changes … and I love the new look. xoxo! Congratulations Emily and your decision! Babies are only babies for a short time and it goes by so fast! You are an incredible lady and I can’t wait to see where your new adventures take you! Congratulations on your decision. I admire you for taking a step back and evalluating what’s best for you and your family. I look forward to reading more of your posts, which I so enjoy. Congrats on taking control of your life!! Being there to devote more time to your family is very honorable of you. All the best !!! Emily, this is a wise decision on your part. I wondered how you would cope with all the changes & this is a perfect solution. No one can do it all, not even the bloggers who look like that are. It’s just not possible to DO everything that comes along. You’ve done great with your blog! thanks for making the rest of us feel normal! although i am avid ‘reader’ of blogs, being a mother of 2 – i have no idea how you have time to even do that, let alone an entire design business! i, too, feel the need to simplify. time to enjoy what is happening NOW. may you be our inspiration:) love reading your blog!! Good for you! My motto has always been “say yes to everything,” and just this year I’m finding that it can’t always work that way. I’m sure it was a difficult decision, but it sounds like a great one. Congratulations! I love your blog and am selfishly excited for even more blogging! :) No pressure, though; we all understand! You are a wise woman Emily Clark! You can focus on your business and your blog later but you will never have the opportunity to raise your children again! It is truly a one shot deal so stay on target and make the most of it! I have only been familiar with the blogosphere for about 2 years and I have seen so many young moms realize that they need to step away and reevaluate. You are so wise to keep things in check. Congrats – so happy you’re sticking with us, your readers! I love your blog and cannot wait to see what is to come! That’s very exciting! I was worried you might say that you’d stop blogging. I’m looking forward to seeing the changes ahead! You’re incredible and will be blessed for the changes. I just know it! You have made a wise decision! I am glad we will still hear from you and get to see how your own house takes shape! You can’t know how appropriate it is for me to read this from you right now. I have followed your blog pretty much since you started and I’ve always wondered how does she do it all? It’s been almost a year since I started blogging and designing for others besides just family and friends. But, what I’m finding is that while I love what I do, I’m not sure I love it enough. The cost to my family and my sanity has been very high. I am prioritizing this year. Simplify is what I hear as well. I wish you so much luck with all of the changes that are coming for you. You are an inspiration to me. Good for you for doing what you heart says is right. You’ll never regret the decision to spend more quality time with your children. I’m excited for you & your family…. So happy to hear you’re doing what feels right to you. The bonus is that as one of your readers, I get to keep seeing what you and your growing family are up to! Congratulations and all my best for 2012! You will never go wrong following your heart. Congratulations on making and sticking with, what I imagine, was a tough but necessary decision. I look forward to what is to come. So glad you didnt decide to quit blogging! I do enjoy reading your blog along with many, many others! and I can totally understand & respect your decision to put the Interior Design on the back burner. There will be a time & place for it and you’ll know when. So excited to see all the fun projects you have for the blog in the future! Awesome, Ms. Emily! So proud of you for choosing the best decision for your family. I truly believe God will honor your obedience to Him. Congratulations Emily! It’s not an easy decision to come to but you’ll be happy you did it in the long run, family comes first! I can’t wait to see what new ideas you’ll have on the blog! Congratulations! I’m not a wife or a mom yet and often wonder how I am going to do it all when the time comes. I am so busy now! I am so excited for you. Time is so precious, especially when you have a family, so congrats to you! I look forward to seeing what’s to come on your newly designed blog! Elizabeth did a great job! Congratulations Emily. When you said ‘I don’t want to’… that’s all I needed to read. Without desire, there is no fire! I can’t wait to see where you take your blog, because it’s already such a pleasure to read. Good luck! Emily..good for you for sticking to what is in your heart and what feels right at this point in your life. Nothing is set in stone, if at some point down the road you want to include more design work, then you certainly can! Twins? Wow..how wonderful, you are doubly blessed!! Happy you are sticking the blogging, it is such fun and I am sure you will find a way to combine everything you love….best of luck to you! God bless you Emily! I have always loved your blog, even before your design business took off. It’s a lot of work though. I’m sure every mom understands that We Cannot Do It All! I could hardly keep up with my own dinky little blog and work and run a household and raise children, etc. ANYway, as an “I-never-got-to-BE-a-Mom” (dang it all! ), I can only IMAGINE how MUCH the family was in the forefront of your thinking, and very important final decisions. Enjoy those three beauuutiful children, the blessed twins that will soon join “the team” and that HUNK of a husband NOW~~~ you’ll NEVER get your heart to give up on loving design and decorating (natch! ), so just know that it has been “put on hold for a while”, and E*N*J*O*Y His BLESSING of these incredible people you have in your life!!! I A*M sooooo HAPPY that you will continue BLOGGING, tho!!! I always love coming here!!! So, grab a beer for dear hubby and a nice glass of milk for you, and CELEBRATE, dear Emily!!! Congrats on making the right decision for you and your family! Best of luck in all of your ventures and I look forward to whats to come for your blog! So proud of you for making a “hard” choice but the right one for your family! Here’s to a SIMPLY successful 2012!!! Congrats on this new chapter in your life :). Your blog is one of my first reads every morning, and I must say, I am so glad you will be keeping it up. Also looking forward to hearing about life with twins, plus your other three (and I thought having one was hard!!!) and the journey you will be taking decorating your own home. Funny, you are stepping away from your business, and I am just starting mine ;). Anyway, from one Kentucky Gal to another, good luck and enjoy every minute with your family! Excited about hearing all the updates on your blog! Congratulations on making the tough decison! You will be rewarded for it. So glad that I’ll still get to follow your blog! I was so worried you were going to say you were going to stop blogging! I think it is great what you are doing and can’t wait to see all the posts that you bring to us in the future! I admire the decision you’ve made. Slow down and enjoy your family while they are young. God works in mysterious ways. Congratulations! You are absolutely making the right decision! Can’t wait to follow along with your simplification! Congrats on your pregnancy! You have a beautiful family and they should definitely be priority #1. I am just so thankful that you are not giving up your blog!!!! You are very gifted and inspire me to improve my home’s appearance for my family. Thank you for sharing your gift! I know this must have been a really tough decision for you! I am not even expecting twin and still struggle with blogging and my design services. I am sooo glad you aren’t giving up the blog!!! Oh, do I hear you girl! I went back to work full time a year ago and interior design isn’t for sissies! The stress of client expectations, etc has taken a HUGE toll on me and has taken my complete focus away from what makes me happy, like my family, friends, and other things like blogging. I keep having those little voices tell me the same thing you were told. I can’t tell you how good it feels to hear someone like you say that you have made a choice to just stop and simplify. Thank you for this post!!! What a great decision! You can’t take back this time with your kids. Enjoy some peaceful and joyous time with your family. I look forward to more blogging! I’m looking forward to seeing the changes on your blog for 2012! I love keeping up with this amazing blog!! Congratulations Emily on your decision. I’m not a mom, but can not imagine how you’ve been able to juggle everything with 3 kids and now with 2 more on the way! I enjoy your blog and look forward to what lies ahead. I think thats great, Emily. If I had a beautiful, growing family I can see myself making the same sort of decision! I really enjoy your blog-it is one of my favorites. I also have 5 kids, but my twins were numbers 2 and 3. You have many faithful followers, and we’ll keep you company along the journey. Great choice! You won’t ever regret your decision to simplify! Will be faithfully following your blog! We will all be here, continuing to follow you! Congrats on your decision! Kids grow up so fast – you won’t regret it. Your blog is already successful so there’s no where to go but up! Glad you’ve found peace in your decision. I’m sure this is a little hard for you, but I am glad you’ll be sticking around the blog world and that we get to keep on reading! How are you feeling so far with the pregnancy? Emily, I think learning to simplify is something we all can do. Last year I was OVERLY involved at the school where I teach. I also decided to simplify in anticipation of a baby-we’re adopting a baby from Ethiopa. Nothing like a baby on the way to help you clear your plate! I’ve been so happy with my decision. I simply go to work and teach-which is what I love most! Congrats to you! Congrats on this big decision! I am thrilled that I will still get to follow along on your blogging adventure. I think you have a great writing “voice” and I always enjoy reading your posts–design related or not. And, I love the new look of your blog! So glad to hear that you are following what your heart is telling you! You are a wonderful blogger…read your posts everyday and are the first blogger I ever emailed to get advice about blogging! :) I’m excited you are continuing the blog! I’m also so happy for the changes in your family…what a huge blessing. I can’t wait to see progress on your house…and the twin’s room!! You are an inspiration. All the best! May God continue to bless you in this transition. Such great news – congratulations on making a momentous decision! I admit I thought you were going to go the other way and walk away from the blog. I’m so glad that’s not the case. Its so wonderful too that this will allow you to spend more time with your growing family. Nothing beats that. You are a wise women. I am looking forward to seeing what you do with your blog. good for you! I personally think the women who are “doing it all” are paying the price in some area of their life. I hope you find tremendous blessing and peace through this transition! Congratulations for coming to a difficult decision. It’s funny when God speaks to us…I’m so happy that you listened…some of us don’t;o) Enjoying your kids while they are young is a wise investment in their futures – it is something I was able to do and have never regretted it for a moment. Enjoy!! Good for you! It’s always hard to take what feels like a step back. But surely it will be so rewarding. Thanks for sharing! I’m encouraged! I’m sure this was a tough decision for you – but it sounds like you came to one that is truly best for you and will make you happiest (and selfishly I’m glad because it means I get to continue to read new blog posts by you and see your adorable kiddies – and someday those twins, grow). I can’t wait to see where your blog goes from here! Last year I left my full-time elementary teaching job to stay at home with my with my 2 and 4 year old. I too felt like my kids needed me more. At times I miss teaching, but I know I made the correct choice. It’s nice to know that I am not the only woman that feels this way. Thank you for sharing your testimony! Wow! I’m a little late to the party over here! I’m sure it’s a decision you’ll never regret, Emily. I’m always inspired by bloggers that recognize how important it is to put their family first and follow their heart. Your kiddos are awfully fortunate to have you, so is the blogging community! a standing ovation to you! the time spent with your family will be one to not regret. several years ago my husband made a decision to change jobs (and he had a great one!!) because the travel was taking him away from the children and our family ~~~ best decision ever! i will continue to read your blog and look forward to where ever this leads you. Beautiful decision. Family comes first. We all support you. I had contacted you before your haitus last summer about possibly doing story boards for some rooms in our home. Well…we went ahead and did it ourselves. And I must say, “not too shabby”. ;) I’d love to share pics with you if you’re interested. I’ve heard great things about your blog and finally came over to check it out. I love your designs, and especially love this inspirational post. Good for you for taking the step to listen to God and “simplify.” I wish you the best of luck, and look forward to more posts! I have mentioned in another comment that I am a design loving mother of 6 kids (oldest is 9). I am a firm believer that “No other success can compensate for failure in the home.” Thank you for showing us that Family is the most important. Thank you for following what God wants you to do at this time, I know it isn’t easy. I am so excited for you!!! 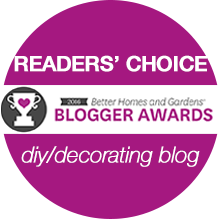 I love your blog and am getting some lovely ideas for decorating. I am so glad you are continuing the blog. Have fun with your beautiful family. 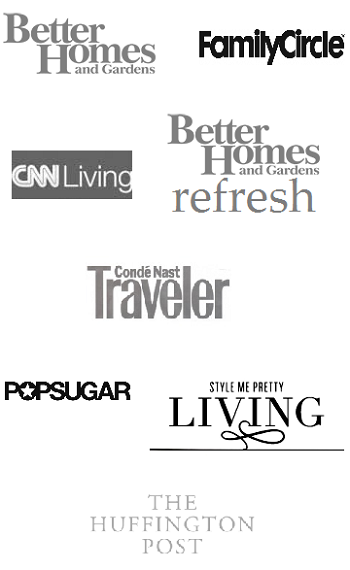 Emily~ Although I will miss your design work, I’ll still be stopping in and reading your blog! Totally an understandable decision! Emily, Best of luck with your decision! I know it must have been a hard one to make. Speaking as a mom of two daughters, one 23 and 19, you can never get those years back! The time when they are little is so precious! I was very lucky to have been able to stay at home with my girls, but felt as many do that I wanted more. Now looking back I wouldn’t have changed a thing! TIME goes so quickly, enjoy them!!!! Good for you! “Family First” is always the best decision. Oh thank goodness! I am so relieved because I was seriously worried how you were going to keep up with everything after your two are born. So, I hope you’re planning on a nice long guest post series AND will have a good number of posts already written and scheduled before the little ones arrive. Just a great decision on your part, I think. I look forward to many more updates of your growing family and your beautiful house. So smart Emily – you can tell that you thought about it a lot and really went with your gut and what is right for your family. I’m looking forward to more of your posts and learning more from you. Good for you! Design will always be there and this special time spent with your children is so precious and goes by way too quick. :) I am sure it was not an easy decision but I bet you feel so good about it. Wise choice. It’s hard to do it all. I made the same decision after I started my business and had a fairly successful year. New clients from referrals. However with young ones still at home, but all in school… I decided as well to stay home full time while they are young and invest in my family. I’m thinking about blogging as well. Although wondering if there are so many out there if it’s worth it. Hmmmm….. I adore you. And even more when I see how you live with such passion and intention. Love you. And thanks for joining. Have stopped by here for a visit on several occassions. This time hopped on over from Edie’s link up – so glad you joined in. I remember baby four, baby five, (not twins), and then baby six. Something really wonderful happened when those little ones arrived- the not so important, the I’m not going to do this right now, the this can wait stuff all became very clear. Blessings to you in this precious fleeting season. Babies in the house are such joy. Great news (and you already know this) – they so often turn into breathtakingly wonderful kids! Sure that was a tough decision but sometimes you have to pay attention to the voices in your head, and your heart. The blog is doing well and I’m sure your family appreciates seeing a lot more of you than they could when you had clients. Kudos to you!